This entry was posted in Marathon Des Sables, Races on March 21, 2012 by admin. 2013 MDS Lottery Is OPEN! 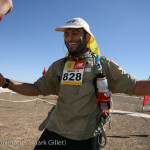 This entry was posted in Marathon Des Sables, Races on October 14, 2011 by admin. This entry was posted in Marathon Des Sables, Races on August 29, 2011 by admin. This entry was posted in Marathon Des Sables on July 26, 2011 by admin. 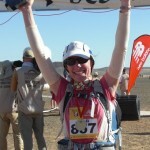 2012 Marathon Des Sables – Lottery List / Payment Due! This entry was posted in Marathon Des Sables on March 6, 2011 by admin. This entry was posted in Marathon Des Sables on November 12, 2010 by admin. This entry was posted in Marathon Des Sables on September 25, 2010 by admin. This entry was posted in Marathon Des Sables on July 2, 2010 by admin. This entry was posted in Marathon Des Sables and tagged MDS on November 2, 2009 by admin. This entry was posted in Marathon Des Sables on April 15, 2009 by admin.